This event will take place at the Archaeological park Nicopolis ad Istrum near the Nikyup village. The aim of the festival is to popularize this unique archaeological park. The festival this year is part of the cultural calendar of the Veliko Tarnovo municipality. 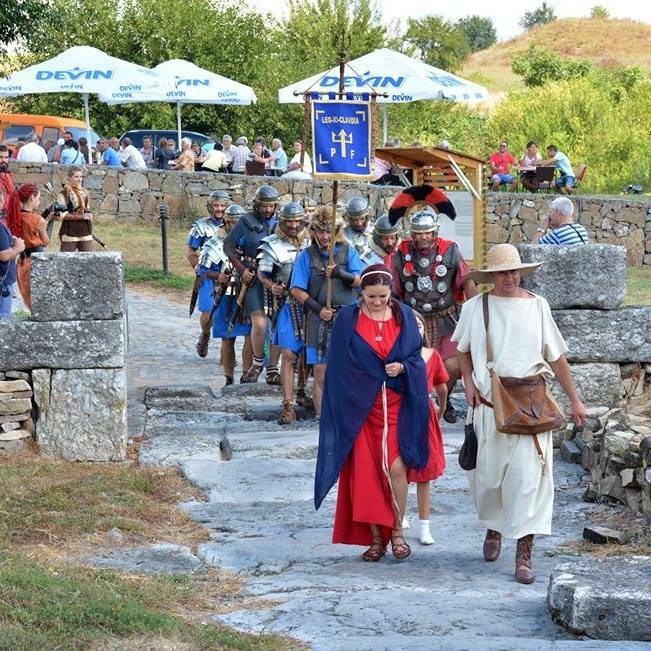 Visitors to the 3rd edition of this festival will see re-enactments of Roman rituals, antique fashion, a slave market, gladiatorial games, demonstrations of Roman and barbaric weapons and battles from the period of the Daco-Roman and Romano-Gothic wars. The traditional craft market will include Roman cuisine, demonstration of jewellery and ornaments, coinage and pottery. Participants from Bulgaria and neighboring countries. Craft market, workshops: demonstrations of Roman table games, Roman fashion and hairstyles. Reproduction of the foundation of the city – an Auspice rituals. Roman-Dacian wars: demonstration of equipment, battlefields and battles, Roman process, slave market and gladiator fights. Recreation of the visit of Emperor Caracalla in Nicopolis ad Istrum. Demonstration of Sports Games set up by emperor. Roman cuisine and demonstrations - Radoslav Maschkov - Master Chief in Restaurant ‘’Bianco. Ancient theater and performance of poetry in Latin and Ancient Greek . "Eriney" – performance with ancient musical instruments. Late Antique event – Recreationof the Roman-Gothic battle and presentation of the missionary activity of Ulfilas in Nicopolis ad Istrum.